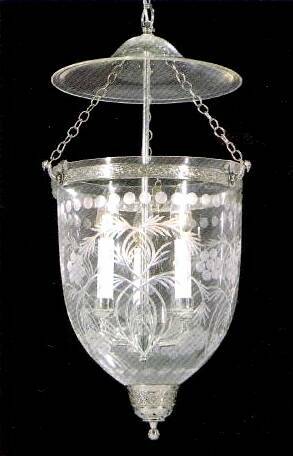 • Large Hall Lantern with glass dome diameter of 12" x 13 3/4" deep and adjustable ceiling drop from 37" to 52". This size is recommended for 10' to 12' ceilings. 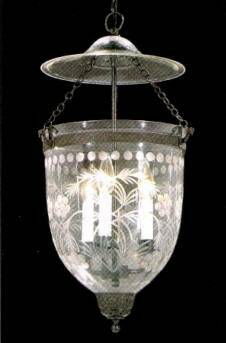 • Medium Hall Lantern with glass dome diameter of 10 1/2" x 11 1/2" deep and adjustable ceiling drop from 31" to 47". This size is recommended for 9' to 10' ceilings. 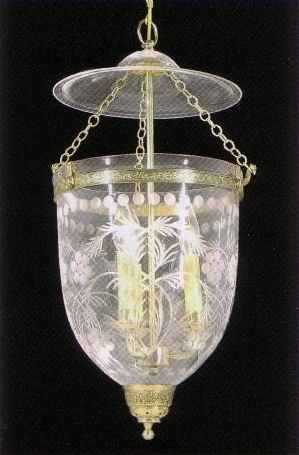 • Small Hall Lantern with glass dome diameter of 9 1/2" X 9 1/4" deep and adjustable ceiling drop from 24" to 44 1/2". This size is recommended for 8' and 9' ceilings.